Politics can't stop the revolution. In 2017, clean power gathered unprecedented momentum. Multiple automakers launched entire families of EVs, including the most exciting one yet, Tesla's Model 3. 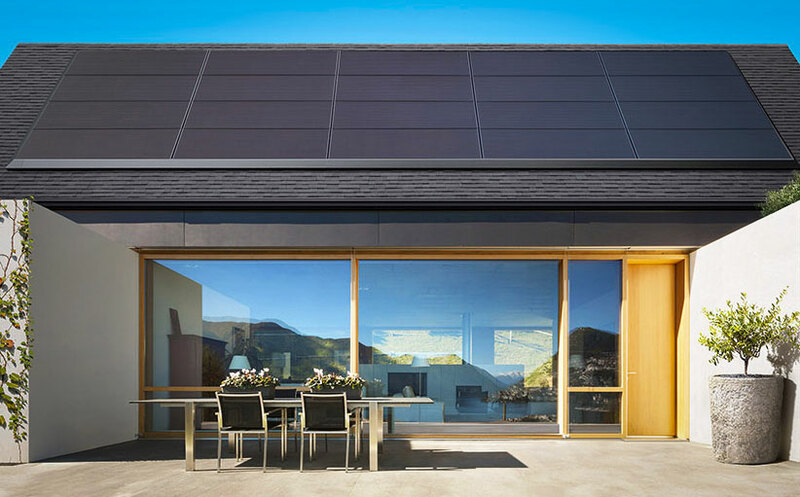 The company also started pre-orders for the Solar Roof, a type of home photovoltaic panel that will make solar panel installations less ugly. With climate change problems mounting, national and local governments are pushing for more renewable energy and an end to fossil-fueled cars -- despite hostile moves in those areas by US President Donald Trump. Elected officials and the public want fewer gas-powered vehicles and coal plants, and more EVs, solar panels and wind turbines. That will ultimately benefit your health, wallet and environment, and you'll be less reliant on large energy and oil corporations, to boot. With the expectations of consumers, companies and governments all getting higher, 2018 has a lot to deliver. There are key deadlines, especially on Tesla's part, and if companies miss them, green buyers could go from exuberant to depressed. Here's what to expect on the consumer side for EVs, clean home power, battery storage backup, and more. 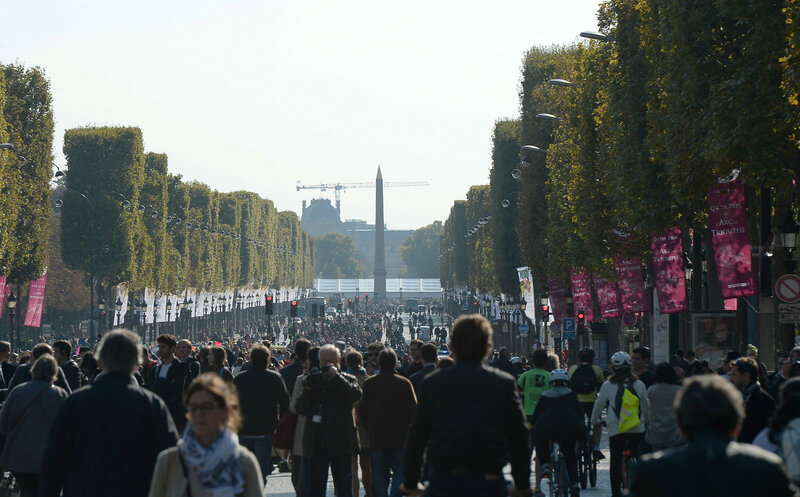 A car-free day in Paris, which will be banning fossil-fuel vehicles by 2030. Getty Images. President Trump opted America out of the Paris climate agreement, and he and many of the Republicans who control Congress have pushed coal and oil instead of clean energy. This is despite increasing concern in the scientific community that atmospheric CO2 levels are reaching the point of no return. The rest of the world, however, is moving forward. France, for one, created the "Make our Planet Great Again" initiative as counter-programming to Trump. That nation and the UK will also ban fossil-fueled cars completely by 2040. That's admittedly pretty far in the future, but France's notoriously polluted capital, Paris, has declared that gas- and diesel-burning cars will be banned much sooner, starting in 2030. Elsewhere, China installed a record number of wind and solar energy projects in 2017 to curb its own smog issues, and has even bigger plans for 2018 and beyond. The nation wants 20 percent of its power to come from solar or wind by 2030, and to invest around $560 billion by 2020, creating 13 million jobs in the process. As China is now the world's biggest polluter, this will not only mitigate global CO2 levels, but make green tech cheaper around the world. These governmental actions aren't just bluster -- they're already having a potential impact on your life. Many of the big car brands, including Mercedes, Honda, GM and Volkswagen, sell cars worldwide, and a lot of countries are forcing manufacturers to produce more efficient vehicles. That will have a big impact on how vehicles are built and sold in the US, regardless of who's in power. In 2018, then, you'll have more choice than ever for green transportation as plug-in-hybrid choices expand and EVs become ever more mainstream. Whereas before Tesla was the only game in town for long-range electric transport (read: more than 150 miles), you can now choose a Chevy Bolt, Nissan Leaf or, if you're in Europe, a Renault Zoe. Next year there will be even more choices as cars like the VW e-Golf and the Jaguar i-Pace arrive. More on those in a moment. Meanwhile, home solar panels are getting cheaper as the technology gets incrementally better each year, pushed by the manufacture of gigawatt-size installations around the world. At the same time, the prices for home battery packs to back up said panels are also falling as they're being manufactured on a large scale for both EVs and power backup systems like the one Tesla just finished in Australia. What that means for you is that solar panel installations for your roof have dropped nearly a quarter in price over the past few years, and batteries are becoming a realistic option for more folks. However, politics could again hamstring progress. The FTC may introduce new tariffs on Chinese solar panel imports, effectively raising prices across the industry. At the same time, the government is weighing whether to get rid of the $7,500 federal EV tax credit (at the moment, it looks safe), which would have a devastating impact on sales next year and beyond. Tesla started delivering the Model 3 in July 2017 to the nearly 400,000 people who ordered one. 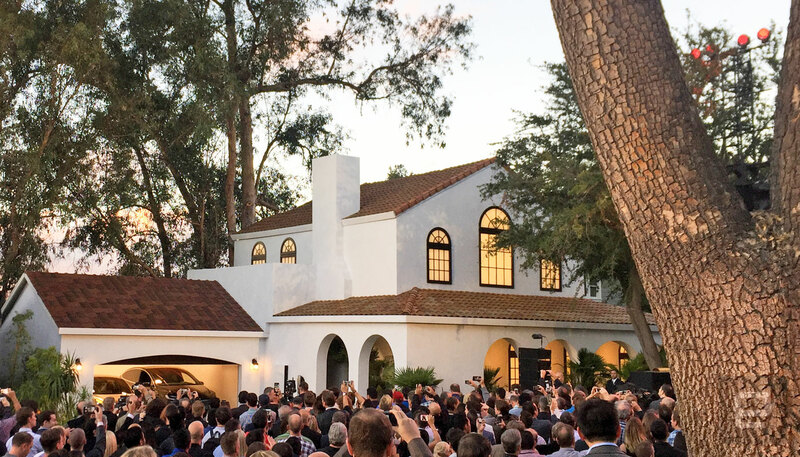 At that time, Elon Musk promised to build around 1,500 in September, 20,000 this month, and up to 10,000 a week later in 2018. Suffice to say, that didn't happen -- not even close. By the beginning of October, the company had produced just 260 cars, reportedly because of Gigafactory battery production issues and other problems. Things have picked up since, with large numbers of Model 3s reportedly spotted at delivery centers. On top of that, suppliers recently reported that Tesla has increased its demand for parts for up to 5,000 vehicles per week. If Tesla holds to that, it will just be a month or two behind its original schedule. Still, last quarter it produced a record 25,336 vehicles over three months (mostly Model S and Model X EVs), so 20,000 Model 3s in a single month would be a big leap. Chevy wants to sell about 30,000 Bolts a year and, after some early stumbles, it's getting on track. Last month it sold nearly 3,000, and that will likely build to more than 20,000 by the end of 2017. While it's not the sexiest of EVs, Engadget and most other reviewers really, really like the Bolt. That's because it's a fun, sporty and spacious little car that can go farther than you'd expect on a charge (up to 238 miles, to be exact). For 2018, the vehicle will be largely unchanged, but it remains an excellent option. The 2018 Leaf may not have quite the range of a Bolt or a Tesla Model 3, but it's cheaper and can still go around 150 miles, enough for a decent mid-range trip. And having launched the Leaf in 2010, Nissan knows how to build electric cars. For buyers next year, there's a bonus: its Pro Pilot driver assist is now here. If you have more cash to spend, BMW's $48,300 i3 combines futuristic styling with the sporty fun you'd expect from the automaker. This year, a new range extender brought the maximum trip on a charge to 90 miles, enough for comfortable city driving or short trips. In 2018, it's bringing a Sport version with quicker acceleration and, more importantly, the new TurboCord EV Charger, with faster charging if you hook it up to a 240-volt power supply. VW has been talking a lot about its I.D. electric vehicles, including the Buzz and the Crozz, but those won't be built until 2020 at the earliest. If you want a real, if somewhat boring, EV from VW in 2018, the e-Golf will be it. Next year's model will reportedly have a realistic 186-mile range, making it a much more practical car than this year's model, which goes around 125 miles. Jaguar might not top your list of affordable EVs, but if you're well-off enough to be considering a Model X or S, the I-Pace will give you something to think about next year. It will have a 90kWh battery, a 400-horsepower motor and killer looks, judging by the concept. There's no price yet, but knowing that it's Jaguar, you can expect something in the six-figure region. Audi opened up pre-orders to the E-Tron Quattro this year, but there was a big caveat: You had to be living in Norway. Nevertheless, the automaker plans to start selling it in 2018, probably in Europe only, but it should introduce the vehicle in the US toward the beginning of 2019. With a 95kWh battery pack, it'll reach up to 210 miles on a charge, giving Tesla -- and, soon, Jaguar -- a run for their money. Tesla is also one of the most interesting consumer solar power companies for 2017. It launched its Solar Roof in late 2016, providing an option for homeowners who want solar-powered homes but not ugly solar panels. If you're building a new home or replacing your roof anyway, the solar tiles compare favorably with pricey roofing options like slate or cedar shingles. Customer deliveries only recently started (delays with Tesla are obviously a thing), but by next year the company should be building enough to fulfill all of its orders. Panasonic has reportedly also started building its high-efficiency, low-profile solar panels for Tesla at the Gigafactory 2, in Buffalo. Those will sell in limited numbers next year, but reportedly won't reach peak capacity until 2019. In a new wrinkle on the sharing economy, so-called blockchain microgrids could bring solar power to the masses. A company called LO3 Energy promises to let communities buy and sell solar power generated locally, using Bitcoin-like blockchain tech to track transactions. The system works on any size solar installation, from hundreds of homes to just two. If solar power could be shared among multiple homes or businesses, it would become a lot more affordable. Sunpower is another company to watch. It launched a new type of panel that uses a technique called "shingling" to fit more photovoltaic cells into the same space. That could result in cheaper solar panel installations for both consumers and energy companies. Lithium-ion battery systems are having a good year outside of EVs, famously helping Australia and Hawaii save sun and wind energy for rainy (or calm) days. Tesla again gets the lion's share of publicity for its Powerpack installations, which helped it win a $50 million bet with the South Australian government. We also have to give a nod to Ikea, though, which has been selling inexpensive solar panels in the UK and other nations. It unveiled its own battery system in Britain (manufactured, again, by Panasonic). For £6,925 ($9,300), you can get a package with both solar panels and the battery, including installation. As for what you can look forward to next year, let's just say that battery tech is like Tesla itself at times -- long on exciting news, but short on real, timely products. Still, there are a few developments that could arrive to market as early as next year. The most promising is perhaps StoreDot's batteries, which can be charged in as little as five minutes for both EVs and smartphones. The company has been vague about how it works, saying the tech uses nano-materials and organic compounds, but StoreDot has promised that it could arrive to market as soon as 2018. If batteries like those used by Tesla and Chevy could be charged in five minutes rather than an hour, it would obviously make EVs a lot more practical for long trips. 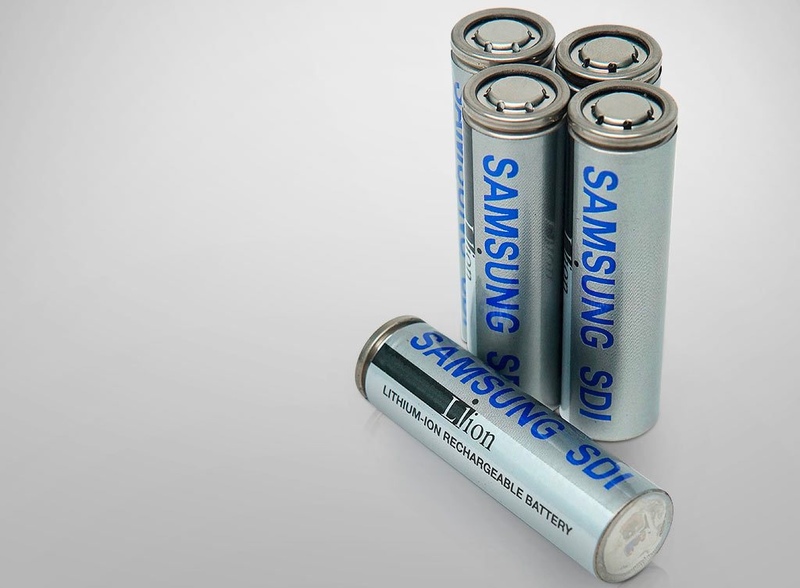 More realistically, Samsung was among the first of the big manufacturers to launch a faster-charging lithium-ion battery, the 21700 cell, at the beginning of the year. It can be fully charged in just 20 minutes, a significant improvement over the 30-minute-plus charging times of current cells. The only problem: While they're already available for e-bikes and other smaller devices, Samsung reportedly won't mass-produce them for cars until about 2021. We've detailed hydrogen's issues (efficiency and infrastructure) compared to pure EVs, but there are a few automakers still committed to the technology. Toyota and Honda are partnering with Japanese fuel firms to increase hydrogen infrastructure in Japan, eliminating one of the biggest impediments to the tech. As for whether you'll drive a hydrogen car in 2018, the answer is "not likely." The cars are still far too expensive ($60,000 or so for the Toyota Mirai), and there are almost no filling stations in North America. Hydrogen needs economies of scale to kick in, and with EVs coming on strong, that seems increasingly unlikely. Speaking of infrastructure, with more companies launching EVs, you'll need more places to charge them besides your home. In Europe, the Ionity network will be launching more than 400 stations by 2020, including eighty 350kW ultra-fast chargers that can juice up future EVs in as little as five to 10 minutes. In the US, there are now around 16,000 charging stations, with 13 percent of those offering fast charging. Tesla alone has 900 charging stations, with 6,000 supercharger stalls, and plans to have up to 18,000 superchargers by the end of 2018. Other manufacturers, including Nissan and BMW, have plans to install chargers in the US, often working with private companies like ChargePoint and evGo. California alone wants its power companies to have 20,000 charging stations by 2020. If 2018 fulfills the potential of 2017, green energy will become an unstoppable force. Any moves the Trump administration decides to make against it will only hurt the US in the short term, as green tech becomes an economic force around the world. As The Economist points out in the video below, EVs next year could be cheaper than gasoline cars for the first time, considering overall cost of ownership. Sales of EVs, including plug-in hybrids, could top 200,000 units in the US this year, according to Inside EVs, and surpass a million worldwide. Suffice to say that replacing a million gas-burning cars will have a big impact on atmospheric CO2 levels. Next year we could blow past that figure by July or August. Even without big breakthroughs, battery tech keeps evolving and is bound to give us more capacity and faster charging times in 2018. Small tech and engineering gains will also make solar panels a bit better and a bit cheaper. Beyond that, in 2019 and 2020, auto companies like Mercedes and VW will launch brand-new and formidable EV lineups like the EQ and I.D. series, respectively. By then, EVs with self-driving tech will be cheap, practical and mainstream. And with solar and wind starting to beat coal, nuclear and gas-powered plants in price, the power you use for your EV and home will be cleaner and cleaner. Will this save the planet from excess CO2 levels? Maybe not, but we have no choice but to try.